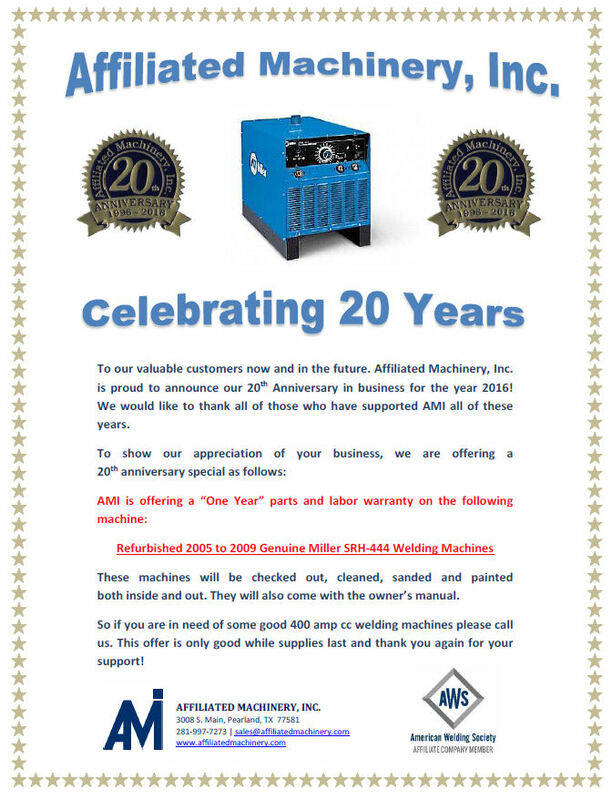 AMI - Affiliated Machinery, Inc.
new condition as possible. 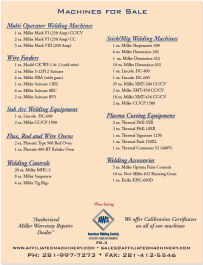 We offer a 120 day warranty and owner's manual on all our refurbished equipment. 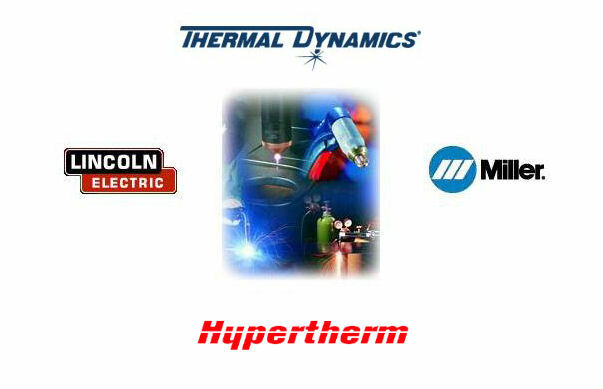 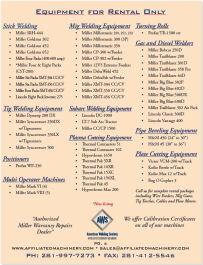 AMI also rents and services used welding equipment. 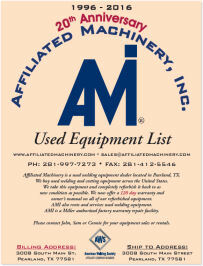 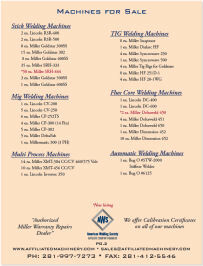 Please contact John, Sam or Connie for your equipment sales or rentals.